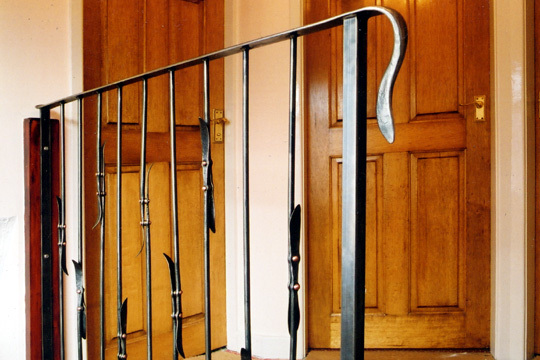 These mixed metal stair railings have a modern, detailed yet understated design. 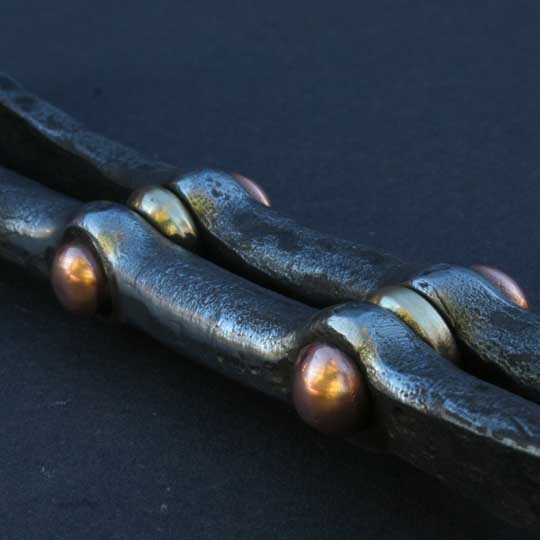 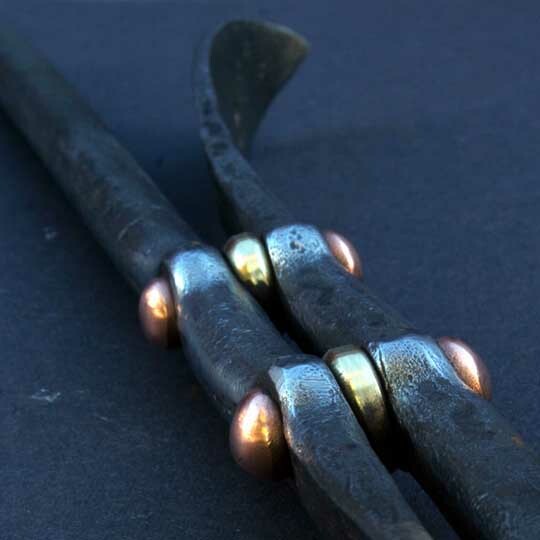 Each rail was made from two pieces of forged steel, these were then joined using bronze spacers and copper rivets in hot punched holes. 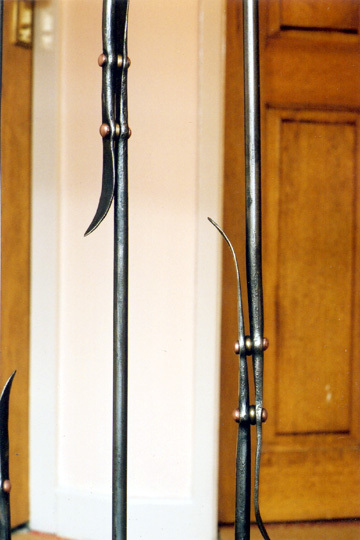 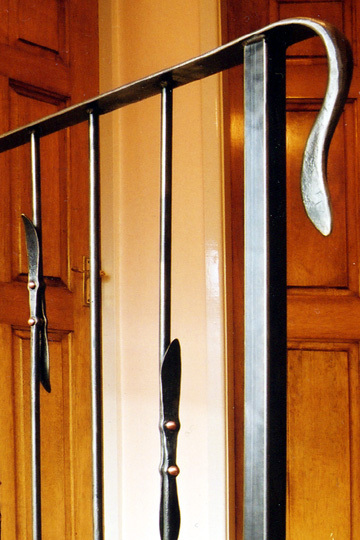 The end of the steel handrail was forged to a tactile shape. 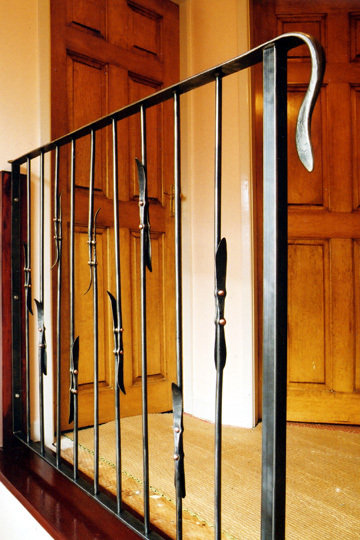 This forging, and the use of contrasting metals within the railings are typical of the feature detailing seen throughout our work.